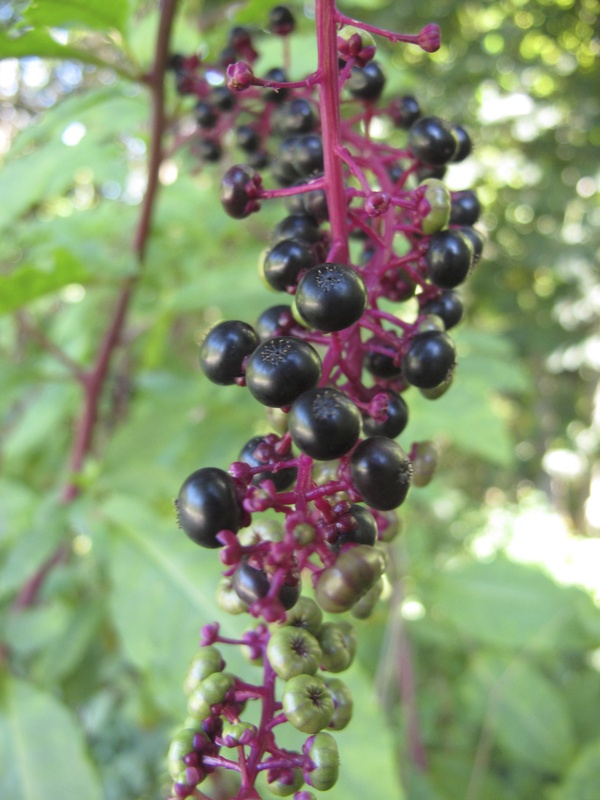 The pokeweed plant is very alien-looking with its bright purple clusters of berries and branching vibrant green stalks stretching across areas of disturbed ground and in waste places in urban lots and weedy garden plots. Many think this plant is poisonous – and if eaten incorrectly, it can be. But the pokeweed, despite all the warnings, can be made edible by eating the early, tiny spring shoots to make the traditional Southern dish of poke salt and the root and berries are used in herbal plant medicine. The berries make a beautiful purple plant dye to color fabrics and decor projects. Creeping along the ground with its red fruits dotting the landscape, the prickly pear cactus is the Midwest’s only wild cactus. 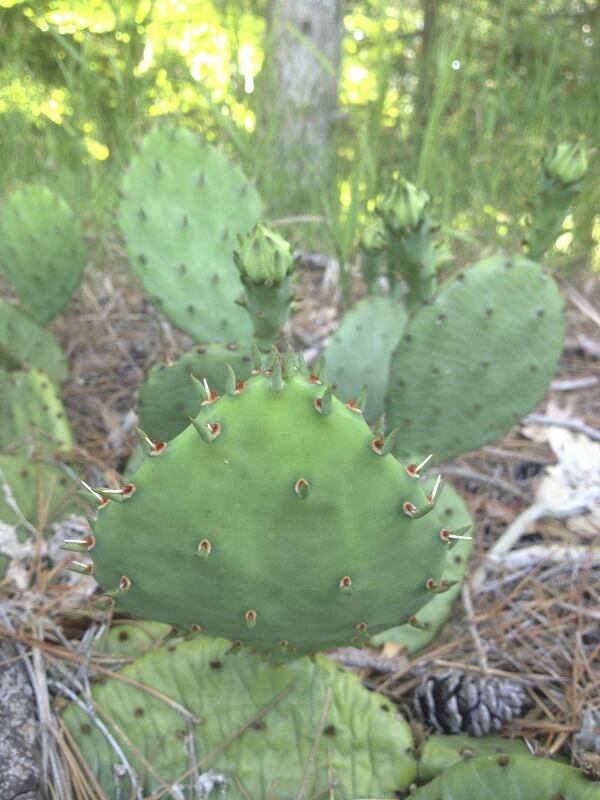 The prickly pear grows in colonies, spreading across disturbed sandy and rocky soils, in south-facing locations. Its spines ward off predators, but for those brave enough to handle the plant with leather gloves and remove it’s thorny glochids, the fruits can be used to make a delicious and fruity simple syrup for cocktails or sodas. 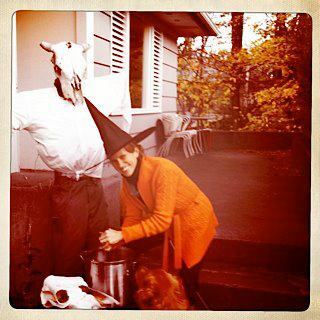 It’s fruit can also be pureed to produce a fun and edible pink slime – perfect for Halloween tricks and treats. The hawthorn is a tree with a history of magic and folklore. The hawthorn grows as a rambling, hedgerow shrub with long and pointy spines lining its bark and branches warning everyone to hone their senses, lest they fall into the shrub’s spiny clutches while gathering the tree’s delicious fruits. 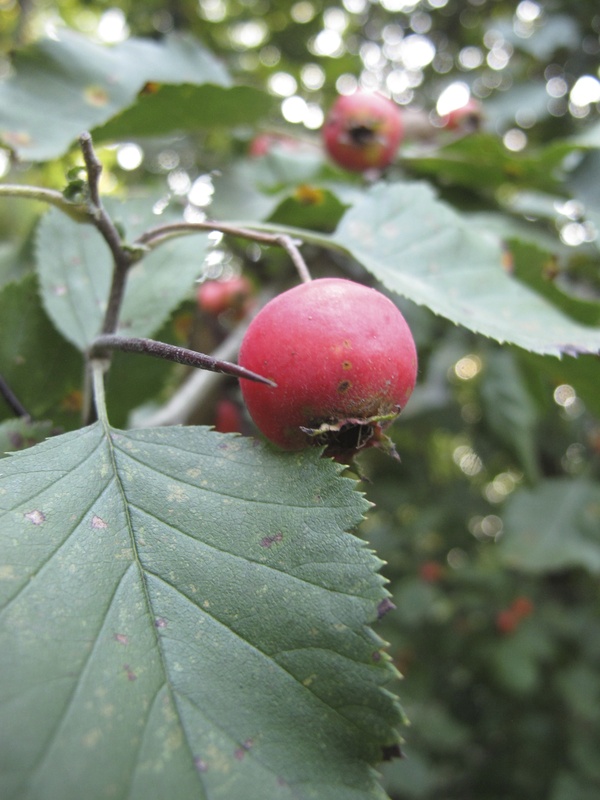 Its berries are edible and can be used to make vinegar shrubs, cocktail syrups, and can be used similarly to that of the crabapple in cooking and hard cider-making. And as the hawthorn is known to be a plant of the faery realm, it’s worth remembering to take a gift of butter for the plant faeries and to sing songs while harvesting the berries. 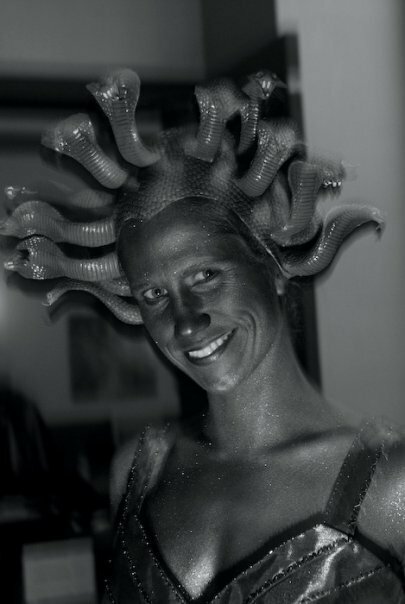 At the very least – and if you don’t believe in the plant faeries – signing songs or whistling is a good way to express thanks and gratitude for the tree’s fruits as you harvest and protect you from their potential tricks. For more about these plants, how to harvest and how to prepare, check out my book, “Midwest Foraging” and have a safe and fun Halloween season!